Are you thinking about going on a Maui hike, but don't know exactly what to expect? Hiking on Maui makes for a great low impact activity. But hiking isn't the same as going for a walk. Therefore, certain tips and tricks can help you stay safe, while having a blast on the island! If you book a hike in Maui with a guide, they'll tell you everything you need to know, for sure! But if you've never been on a Maui hike before, check out this list of tips for beginners. Here's what you should pack and what you should expect if you plan to spend a day going on hike in Maui. Although hiking makes for a low impact workout, consult with your Maui hike guide before embarking on a trail that's much too steep for your fitness level. Unlike walking on the beaches of Maui, hiking trails are typically elevated. Choose a short hike, if you're not used to intense activity. If everything goes according to plan, consult with your guide and go for a more adventurous hiking tour next time you'd like to go on a Maui hike. Make sure you check the weather before you embark on your Maui hike adventure! Regardless of where you plan to hike with your guide, you'll typically spend a few hours on the road. Make sure the weather doesn't plan on playing a trick on you and ruin your fun day! Energy bars and plenty of water - Staying hydrated is crucial while on a Maui hike and having some energy bars on hand should help keep your energy levels up where they belong. Of course, consult with your Maui hiking guide on what they recommend as well. Nothing can ruin your Maui hike like uncomfortable shoes or too many layers or clothes! Make sure you wear appropriate hiking shoes and avoid cotton clothes and socks. Go for synthetic layers and don't forget to pack a wind jacket, in case you're going to need it. Saving your energy is important, while on a hike. Steep trails might seem like they're easy to conquer, but after a while of walking uphill, chances are you'll be too tired to enjoy your adventure. 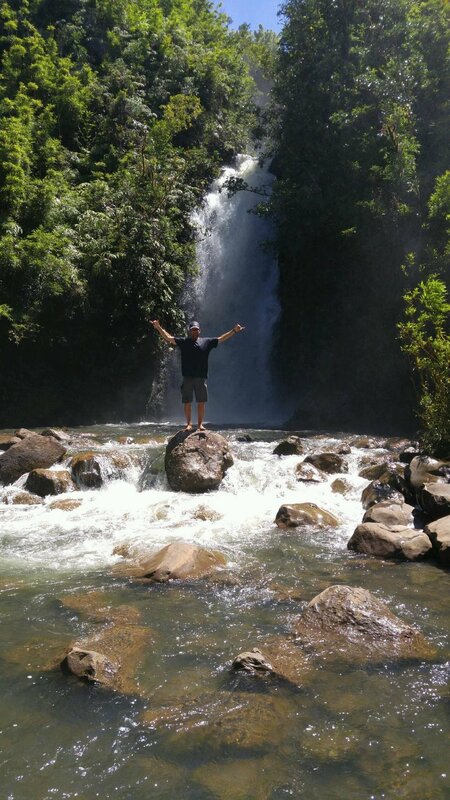 Going on a Maui hike should be an amazing experience! So pace yourself, enjoy your day and always respect the natural outdoors. Cliff notes; Head still, high elbows, steep hand entry!